I normally upate this page on a very unreliable and indecently intermittant schedule, and at unconcionable long intervals. But now I must have too much time on my hands; or perhaps I'm a little overwhelmed, becase I've just been sent a review of my gig at Tigerfolk, at The Stumble Inn, Long Eaton, Derbyshire. All the best 'folk-music Degree Courses' include seminars on how to choose the best Promotions/Public Relations company, to blow your trumpet for you. Even were I able to afford such, I am philosophically opposed to such 'show-biz' shenanigans (dictionary definition: ‘secret or dishonest activity or manoeuvring’); so here goes me: blowing my own trumpet!!! Thank you, Paul. As an old-time sailor might expostulate: "Well; blow me down!" If ‘no news is good news’, then ‘good news’ MUST be ‘no news’ … so that’s good news! I’m dreadful at this modern ‘media’ stuff … that’s why I’m not on Tweetter, Wha’s’at?, Blinder, Snappychat, Intelegram, and other like platforms. I do have a b-log going (that’s the one after ‘a-log’, I suppose) but I’m hardly the world’s most assiduous ‘blogger’. I sometimes leave so long between one post and the next, that I need a refresher-course before I can bring pen to paper … so to speak! If you’re interested – or terminally bored – you can click onto: WATERY PEREGRINATIONS and find out where Lyn and I have been on our 3-year exploration of the English and Welsh waterways. We’re now ashore (‘on the bank’ as the old-time canal people would say), in the People’s republic of West Yorkshire; with Moonstone moored behind the house, on the Leeds and Liverpool canal. It has to be seen to be appreciated … or believed. So that’s it for now … no news is good news. Tom. It has been a year (and a bit) since last I updated this page. Where does the time go? However; there is stuff which can definitely be classified as 'NEWS'! 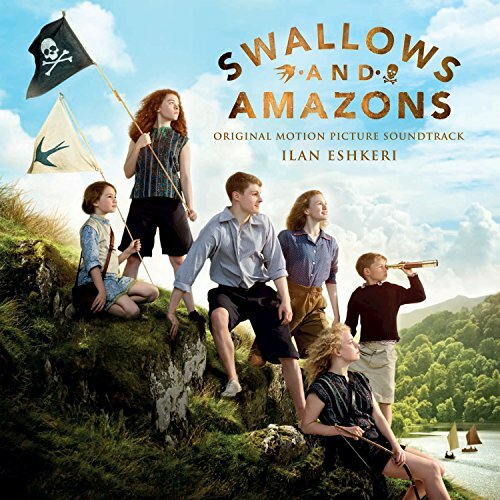 When award winning composer Ilan Eshkeri created the music for the latest film adaptation for Arthur Ransom’s SWALLOWS AND AMAZONS, he incorporated the melody SAILOR’S PRAYER as one of the signature themes (All Aboard - click here). Although originally convinced that this beautiful melody was traditional, he was very upset to discover subsequently that it is the in-copyright work of the established musician and songwriter TOM LEWIS. Although Tom is hugely complimented that his music has been melded into a beautifully evocative orchestration, the revelation came 2 months after the film’s release and therefore too late for Tom’s work to receive an on-screen credit or official acknowledgement. Hopefully this notice will go some way to putting the record straight. Ilan Eshkeri wishes to express his apology to Tom for what has happened and is very grateful to Tom for his gracious handling of the situation. Whilst hoping for great audience response to the film, and for blockbuster sales of the DVD, Tom says that Tinseltown fame will not impede him from his normal gigging, far and wide. Tom, and his wife Lyn, have now decided that their return from a 30 year sojourn in the Rocky Mountains of British Columbia will be permanent, and he’s looking forward to bringing his songs and stories back to the British folk club and festival scene. As a nice little ego-boost (for me), part of the promotion for the movie involved a conversation between Ilan Eshkeri and the film's director: Philippa Lowthorpe; whilst the London Symphony Orchestra were actually recording the sound-track ... in Abbey Road Studios!!! Personally ... I'm thrilled to hear my music - so beautifully rendered - in such a context. Cheers folks. Tom. Despite all good intentions (with which the road to hell is paved) I have not become less lax (is that a double-negative?) in the updating of this page ... no excuses. Since the completion of our 2015 cruising - 844 miles of canals and rivers plus 37 miles of the North Sea; 573 locks, and about thirteen miles of tunnels - we've been moored in Warwick; to hunker down for the winter. We'll take advantage of being in one spot, for a while, to carry out some 'personal maintenance', so that we are both physically ready for 2016 cruising. Meanwhile; I'll visit as many folk clubs as possible, and find out what's happening on the 'folk scene', here in The Midlands. Moonstone; with Lyn and myself aboard (I really dislike the term "myself", but "me" doesn't seem quite right in that sentence); will be off 'on the cut' early in March. We'll be taking some time out, in May and June; to attend the wedding of friends, in California; and refresh valued friendships around the Pacific Northwest. By the time we return from that, the festival season will be in full swing. Cruising and gigging will re-commence with the greatest of vigour ... he said. If you're reading this, please keep in touch and let me know. I'm not averse or allergic to modern technology - such as tweeting and having a 'visitor counter' - I'm just rubbish at such things. All for now. I WILL try to do better. We set out on our much anticipated canal explorations on May 1st. If you'd like to keep track of our Watery Peregrinations please click on this link. If you would like to be on my mailing list for same, please drop me a line & I'd be happy to add your e-address, ensuring that you are notified whenever it is updated. We lost Lyn's lovely Mum on November 20th, and had a wonderful celebration of her long life at a favourite spot of hers on the clifftops in Bournemouth. I was delighted to fullfill her request that I sing 'Only Remembered' and 'Good Night Irene'. She will be deeply missed. I have been asked on numerous occasions if we will return to live in Canada now that Irene no longer needs us. The answer is that, whilst we will undoubtedly return to visit our many North American friends, a THIRD emmigration is not on the cards. 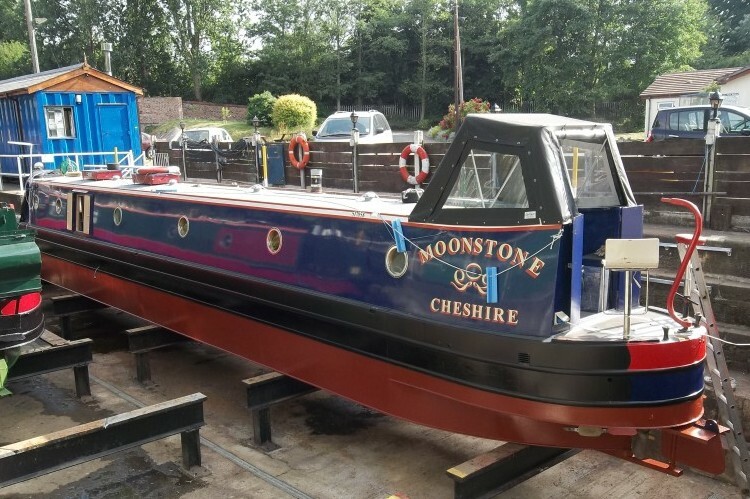 I am now 71 and happy to remain in the UK, where we have purchased a home in Yorkshire as our eventual domicile, once life aboard Moonstone palls (so maybe never!). Now that our lives are no longer so tied to the Bournemouth area, we intend to spend a lot of next year exploring the canal system. Plans for 2016 include a North American tour, possibly in the summer; if a return to Mystic's fabulous sea music festival could be engineered. All/any suggestions appreciated. My touring schedule for 2015 is somewhat curtailed, as 2014 found us too enmeshed in family concerns to concentrate on bookings. However, as you can see from my updated schedule, I will be around and about, and am still adding dates to my calender. 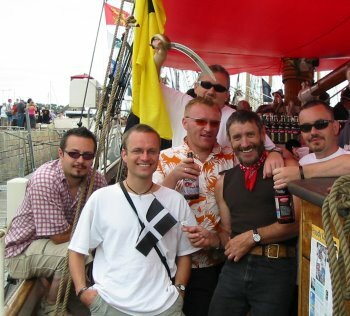 Poles Apart, after a VERY successful appearance at the final Fylde Folk Festival, will be appearing at the Falmouth Shanty Festival - probably our only UK date, as my Polish cohorts are such busy guys. So mark your diaries - this is a rare treat! Meanwhile, have a wonderful festive season and I will hope to sing with many of you next year. 've been getting complaints about the topicality of my "news" announcements ... quite justified too, I'm ashamed to admit. In my own defence: I do keep the "Tour schedule" page updated on a timelier basis. Consequent to Lyn's Mum (she's 92 now) opting to reside permanently in a very nice care-home, in Bournemouth; Lyn and I are spending more time aboard our narrowboat, in Newbury, Berkshire. That's only an 80-minute drive from Bournemouth, and really fairly central to Southern England for many gigs. However; as canal-boats move at about 3-4mph, we'll be driving the car to those ... which brings us to the subject of gigs. THE WHITE HORSE FESTIVAL; taking place in Grove, near Wantage, Oxfordshire, in mid-August. THE GREAT YARMOUTH MARITIME FESTIVAL, over the first weekend in September. THE BROMYARD FOLK FESTIVAL, over the second weekend in September. THE TENTERDEN (Kent) FOLK FESTIVAL, over the first weekend in October. THE HARWICH FOLK FESTIVAL, over the second weekend in October. Dorchester, Hythe (Kent), Dartford, Faversham, London, Watford, London, Swindon, Walthamstow, Southampton, Combe Martin (Devon), Llantrissant (Wales) and Leigh-on-Sea (Sussex). You can check out the details for all of these on the Tour Schedule. Next year I'm hoping to do more on the Continent (European) and maybe even a visit to parts of Canada and the USA. (The latter would be dependent on some invitations and a workable schedule and budget, of course!) We've also had several enquiries about another FLOAT TO THE FESTIVAL canal expedition. Now THAT would be absolutely dependent on assembling a viable crew! All of us are aging, and a certain standard of physical ability has to be a prerequisite. However ... if the stars were to align correctly ... that would be in late July of 2015, taking in the wonderful festival in Warwick. t has now been 12 months since Lyn and I left our mountain fastness and decamped to England's South coast. After 30 years as a Canadian I had forgotten exactly why the Brits have a reputation for always talking about the weather ... now I remember! After almost three whole months of gale after gale, after gale, ad infinitum, I am only consoled that: if this lot had fallen as snow, I should have been distraught at having sold my ultra-efficient Honda snow-blower. As It is, I keep checking that I'm not developing webbed feet! Enough, already ... I'm starting to sound like a Limey! However; we have become boat owners, so all thoughts of building an ark have fled in the security of knowing that we have our very own, 58' long, all-steel construction, personal flotation device ... and very cosy and comfortable she is, too! She's named: MOONSTONE; although we like her so much we're tending to refer to her as MOONSTRUCK! We might re-name her, but I'm sure there is some sailor's superstition about doing that??? Currently we have her moored in a marina in Cheshire; very near the border with Wales. This summer we may re-locate to somewhere more southerly and closer to Bournemouth. After a fairly busy summer around England and the Continent ... sometimes with my Polish buddies; sometimes solo ... it has been - as planned - a quiet winter; performance-wise. Late March will find us in New Zealand, meeting more cousins for the first time, and gigging along the way ... of course! After a couple of weeks there, we'll arrive in Australia just in time for my 71st, birthday celebrations. That will coincide with my dear old Uncle Edwin's 100th., although, sadly, he slipped his cable about six months ago; so he'll be missing what promises to be a terrific bash. We'll sing some of his favorite songs and raise a few glasses to a well-lived life. Mind you; he did get a letter from Buckingham Palace shortly before he crossed the bar ... and hugely pleased he was too! I'll certainly give him an honourable mention at The Australian National Folk Festival, over the Easter weekend. The early summer will find us back in the U.K., with several festivals lined-up, and an extensive folk club tour in the autumn. "News" (the clue is in the word, Tom) is supposed to be NEW!!! As my previous "news" is dated November 2012; you might surmise that there is some … "news", that is! For a start, I'm in a whole new decade, and a whole new home! A delightful crowd of friends - old and new - were at the SQUARE AND COMPASS pub, in Worth Matravers, to help me celebrate my 70th. birthday; almost exactly 30 years following a similar party in that wonderful location. Amazingly … and very gratifyingly … lots of people from the 1983 event were there this past April and … more amazingly … we even recognized each other! Anyway … onward and upward … there are folk clubs and festivals to be part of; all over Britain and Europe; and Lyn and I will be touring in North America before too very long. A delightful spin-off from the relocation is greater opportunities to join with my Polish friends, at several festivals during the upcoming summer. Details can be found by clicking on the "Tour schedule" link, just over on the left. The most exciting thing that's happened to me for a long time (I know... I need to get out more!) is a great review by Dai Woosnam, ace reviewer for Britain's LIVING TRADITION magazine. Click here to read it. Of somewhat greater moment is the impending re-location which Lyn and I will be making in February, upcoming. Next Spring, Lyn's lovely Mum (Irene) will be 91! She keeps in quite good health and excellent spirits but, she's going to require a modicum of company and support, in order to continue living in her own home; in Bournemouth; on the South Coast of England. Consequently, we're going to move in with her for a while; forsaking our beloved home, in the mountains of British Columbia. This will be quite an upheaval for us, but we're looking forward to the adventure. Additionally; the move will afford me new opportunities to accept more gigs in the U.K. and Europe; as well as greater prospects for performing with my Polish buddies: QFTRY. As can be seen else where on these pages, Lyn and I will be facilitating TWO Float To The Festival expeditions in 2013; as well as one planned for 2014. Before any of that, I'll have to find some way to properly celebrate my 70th. birthday, next April. After a seemingly interminable wait, post-production work on the new recording is almost complete. The target for release (escape?) is “by the end of November” … he said! This will be my second collaboration with my Polish friends QFTRY, who not only sang and played so wonderfully but also made the stunning arrangements of the songs on the POLES APART recording. Ten years later they have outdone themselves on a selection of songs to make you wonder at where the genre “nautical song” might be heading. Soaring vocals and harmonies abound, along with some minimal – but exquisite – instrumental accompaniments. “Sneak previews” (pre-listens?) will be on the internet in the coming weeks. Given the infrequency of updates to this page (the previous version was dated “December 2009”) one might surmise that very little is happening in the life of Tom Lewis … not so!!! Whilst Lyn’s professional circumstances have led to a slight pull-back from a rigorous touring itinerary, I’ve maintained a reasonable schedule over the past couple of years, and intend to do so until Lyn “retires” at the end of next year … at which point we’ll resume touring at a more energetic pace. That will involve a major tour in New Zealand and Australia, early in 2013, and a greater presence on the U.K. and European “festival scene” for a few years, along with another, much-requested, FLOAT TO THE FESTIVAL expedition. My 2012 will be starting early; with gigs in Whidbey Island, WA., Calgary and Chicago; all before the end of February. Brrrr! A U.K. Folk Club tour, in March, will coincide with my Mother-In-Law’s 90th Birthday. The summer of 2012 will see the return of the ASTA Tall Ships to North America’s East Coast; so I’ll probably be involved in some of that. Plans are afoot for me to participate — after a hiatus of several years — in MYSTIC SEAPORT’S ANNUAL SEA MUSIC FESTIVAL, over the second weekend in June; and I’ve been invited to be on the faculty of THE WOODS MUSIC AND DANCE CAMP, in Ontario, in August. Coincident to that, I’m hoping to arrange to be at some other Canadian festival. For more news about that, keep an eye on my Tour schedule page. Do keep in touch. Contact details can be found elsewhere in these pages. Tom. The big news is that we are finally able to offer my CDs in downloadable format. Please follow the Recordings links in order to do that. And... after a hiatus of almost two decades, we are very pleased to announce that, thanks to all this wonderful (digital download) technology, the groundbreaking album Making Waves is once again available to the world at large. I recorded this back in the 20th century in Seattle, recruiting the vocal and instrumental talents of William Pint and Felicia Dale, making good use of William's undoubted arranging and production skills. The results were spectacular! Indeed, Mike Joyce, the discerning and tough reviewer for The Washington Post, not only gave it a great review, he actually came to a D.C. concert to hear the live version! Anyway, you can judge for yourself by listening to some of the soundclips. Due to circumstances beyond my control, Making Waves has been unavailable as a CD for several years. As it contains some of my favourite songs and arrangements, I am very pleased to be able to make it available again, albeit as a virtual album. Please see Making Waves for further details. Please note ... in order to maintain the studio quality of my recordings, we have created the digital files at as high a resolution as possible – without making them too cumbersome to download. Thus if they take a while to download, I hope you will bear in mind I wish to give you the best quality possible.